This entry was posted in Random and tagged Baking, Cake, Friendship Cake, Herman, Humor, Humour. Bookmark the permalink. Herman’s first offering was delicious. The second, a berry variation on the apple original was also quite tasty. The third one was made when he was a bit sick so it wasn’t his best offering. And now… now I think we’re just a bit over cake. Gasp! I never thought I’d use those words in this house…. A bit over cake?! Never tire of cake! It fills you up nicely and is a great conversation starter. You know me… Confronting the pressing issues of the day…. Sorry about your fall. I hope you’re up and literally running soon. And, poor Herman, but I am sure it was the humane thing to do. Thanks Trent. I’d just got myself back on track and got out and ran Monday night, then fell over Tuesday morning. Sometimes the Universe has a sick sense of humour…. We’ll give Herman as fitting a farewell as we can. I love the concept of these growing and sharing breads and cakes, but really… when it’s all said and done, you have to eat it. And eat it. And eat it. RIP, Herman. It was fun. For about three weeks. And the cake was yum. For about three weeks. Thanks for your support, Torrie. We feel sad to let him go but it will remove quite a lot of stress from the house and quite a lot of padding from my middle. Believe me when I tell you there was definitely NO RUNNING during bike riding at school today! Let’s see….there was the Fall of Adam and Eve, the Fall of the Roman Empire, the Fall of MoSY, and now the Fall of Herman…..what is this world coming to? Or we might not get cake. I’m not sure. It’s one of those. We might just have to storm the Bastille! Not sure I entirely understand the concept, but if it involves passing on any cake to anybody else at some point, Herman would definitely never have made it out of our house. But I’m sure he would at least have fulfilled his potential. I’ve heard horror stories of Hermans dying unloved and uncaked. I have had a couple rounds of this kind of dough passing in my earlier days. The last time, about 10 years ago, the resulting volcanic mass made 12 dozen muffins which none of my family liked. I took them to a local soup kitchen and they were warmly welcomed there. Since that no more Hermans for me. That was a good thought to have, Sue. I’m sure Herman appreciated being used in such a way. I didn’t think of muffins. It would be a way of hiding “yet another Herman cake” in disguise. I’m hungry for cake now. Thanks a lot. Given the rate of postal delivery between us and you, poor Herman would have been a shrunken fossil by the time he reached you. True. That’s okay. There is a bakery two blocks from home…in case there’s a cake emergency. 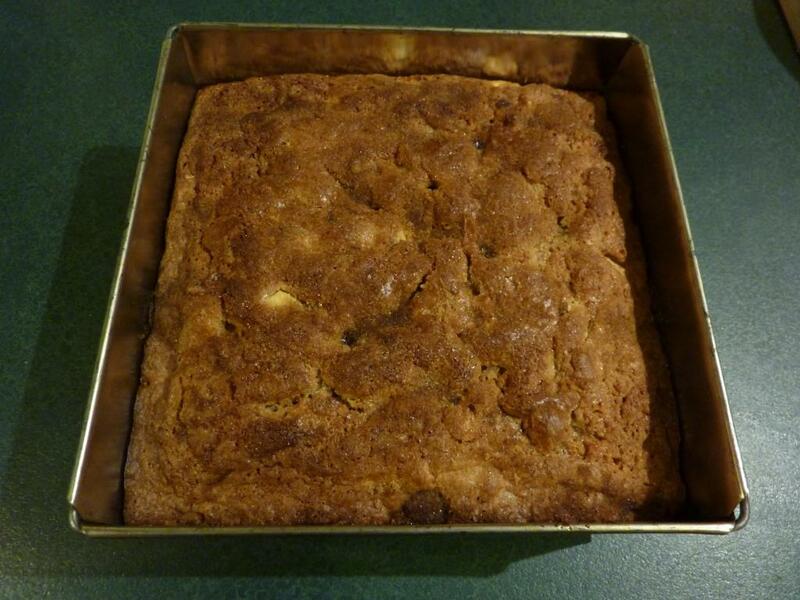 For a second I thought Herman was just a plain old sourdough starter; but a German Friendship cake! What’s the difference (if that’s not too dumb a question)? 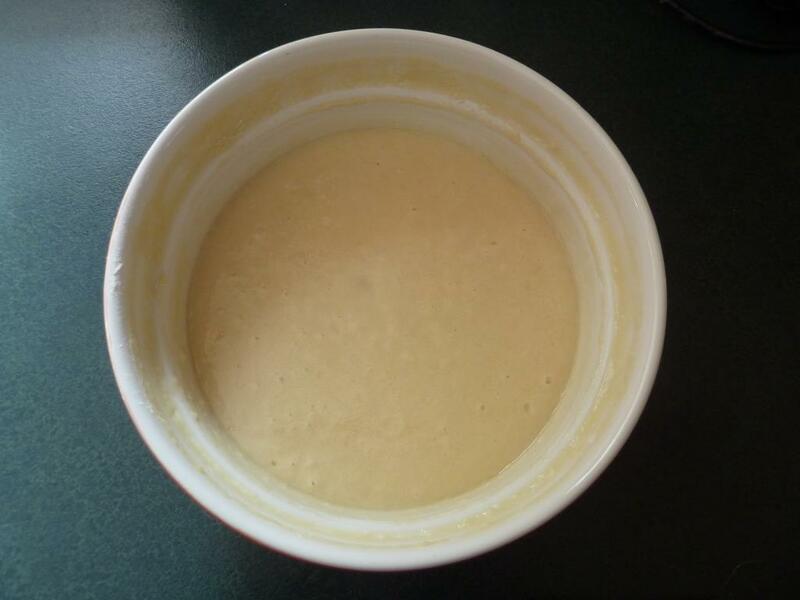 It’s the same concept as a normal sourdough starter, it’s just cake based (there’s a lot of sugar involved). The friendship angle is just because you’re supposed to share the excess. I don’t know why he’s German. Thought it might be! I guess the sugar makes it grow quite quickly. I had to buy a bigger jar for our starter yesterday so that we could bake more, more often. I think that was a case of optimism stomping all over experience and common sense. But it’s a nice jar, and will look good with biscuits in it when we get tired of baking bread. 🙂 Unless of course the b&b thing happens. We did a Herman once and I know what you mean. The novelty does wear off after a while. I can’t remember what happened in the end though. Or maybe it was and you’ve blocked it out…. Oh. No, I think we just cooked and ate the lot. Every mother has to supervise one of these things at least once – to know not to do it again! Until she forgets and is persuaded by offspring it is essential to happiness! This one didn’t even come through the kids. It’s entirely self-inflicted. You had me guessing. Yes, have been there too! Life is too short to worry about feeding Hermans after the first cake. Do not send Herman to me, my mailbox will not hold him. I have nurtured his friend in the past and find he is a visitor hard to discourage. I learn something new everyday … and today it was chain-cake. What an odd concept. I already have enough *issues* (licorice, chocolate, etc) without adding recurring cake to the list. Whoever dreamed up this idea was evil. I’m glad you killed off the devil spawn before it could spread any further. Good work. It’s still spawning! I can’t kill it! Help me! Sorry, you’re on your own. I’m afraid I have to sacrifice the weak here (that would be you, my friend). Rejuvenating cake sounds lethal and I’m not touching it! Well. Now I know where I stand. You’ll be sorry, you know. When they find me buried under an avalanche of cake starter, you’ll be sorry. Not nearly as sorry as I will be but you’ll definitely be sorry. You’re right. It was uncharitable of me to not help you. They (and you) are off the hook. A friend reminded me today that Herman can be frozen. It’s weird – if you put him in the fridge he dies but he doesn’t mind cryogenics apparently. I am not a fan of cake (even before my current diet restrictions), but enjoyed your obit all the more for being disinclined to Herman and his ilk. 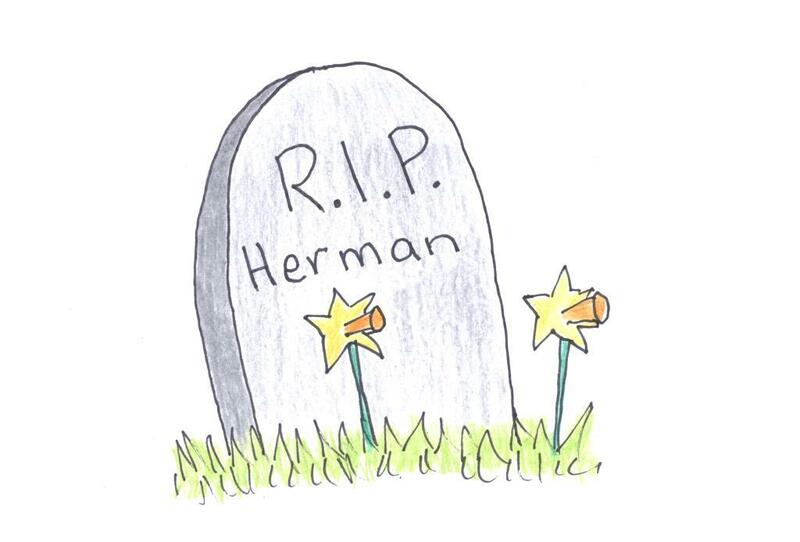 Herman chose cryogenics over cremation. He is currently resting piecefully (in four containers) in my freezer.